The United States government is not directly liable for patent infringement under the Patent Act. However, 28 U.S.C. 1498(a) represents a partial waiver of sovereign immunity — allowing patent owners to sue the US Government for its unlicensed use of a U.S. patent. 149a(a) Whenever an invention described in and covered by a [US] patent . . . is used or manufactured by or for the United States without license . . . or lawful right . . . , the owner’s remedy shall be by action against the United States in the United States Court of Federal Claims for the recovery of his reasonable and entire compensation for such use and manufacture. In FastShip, LLC v. U.S., the question before the Federal Circuit was whether the infringing Littoral Combat Ships (“LCS”) were “manufactured” by the Government before the patent expiration dates. In particular, the accused LCS-3 ship model was still under construction when the asserted patents expired, but the patentee argued that it should be considered manufactured since it was substantially complete, including the key aspects of the claims at issue that had no non-infringing uses. Rejecting the patentee’s argument, the court made the seemingly straightforward determination that a product is not “manufactured” until it is made suitable for use. According to the court, the term should be seen as synonymous with the word “make” as found in the ordinary infringement provision of the Patent Act. [W]e interpret “manufactured” in § 1498 in accordance with its plain meaning, such that a product is “manufactured” when it is made to include each limitation of the thing invented and is therefore suitable for use. The interpretation here does not fill all potential gaps, but serves its purpose in this case. 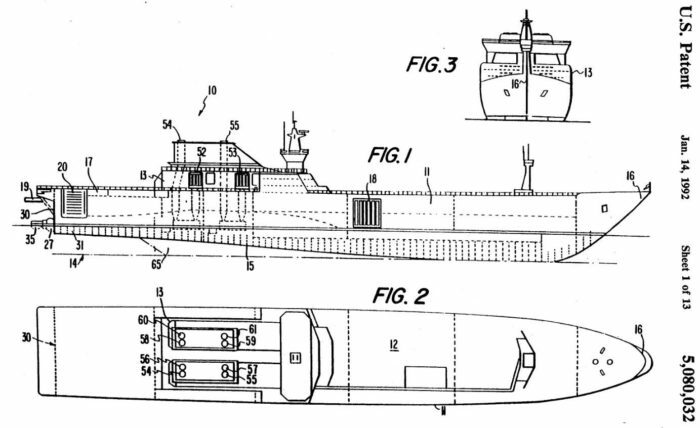 The claims were interpreted to require a hull — and no hull had been yet built by the patent expiration. Thanks Anon – Interesting point. The contrast is that in Univis Lens the sale was authorized by the patent owner and resultant license created regardless of practice of the final stage of the procedure — whether what was sold was “substantially complete,” or even I suppose “a material part of the invention, knowing the same to be especially made or especially adapted for use in an infringement of such patent,” was only relevant to whether the license sprung into existence. The sale itself need not have involved a patented article (note the “whether patented or unpatented” language). In Fastship, the sale was unauthorized by the patent owner so of course exhaustion does not come into play. Also, treating “makes,” or analogously I suppose “offers to sell” or “sells,” as applying to things that have yet to be made or to be completed during the term of the patent risks extending the monopoly beyond the expiration of the patent term. How is there risk of extension beyond patent term? The statute allowing limited patent claims against the Government is not a normal patent law situation. Nor is this a situation of specialized product sold with an implied or express license for what to do with it. Great comments both – but both miss the mark as to the difference in the one case of using “substantially” versus in the other of demanding more.